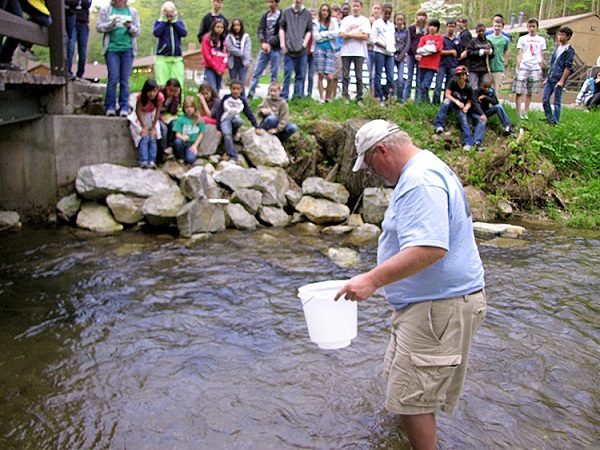 Culminating their “Trout in the Classroom” class activity, the 5th and 6th graders from Desmond T. Doss Christian Academy release the Brook Trout at Camp Blue Ridge on the first day of Outdoor Education week. 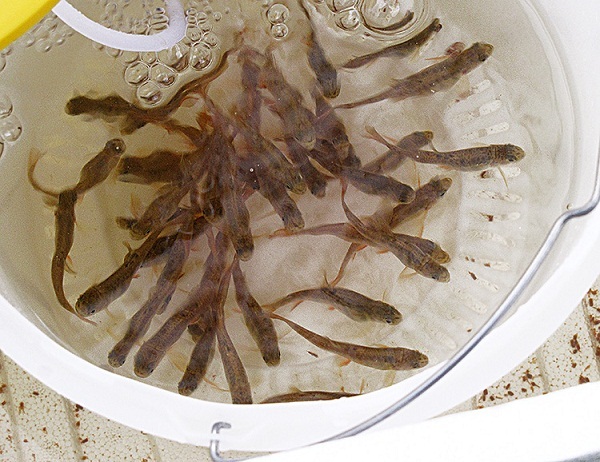 The class had been raising the trout provided by Trout Unlimited since the beginning of the school year. The students tested the 55-gallon tank weekly to ensure proper chemical levels and temperature. It was a bittersweet moment as the students released their “pets” into the wild.